Unbridled Horror is an amazing first-person dark psychological indie horror game developed by Aleksey Shevchenko.The story tells us about the teenage-girl, who once has awaken in a strange place. She doesn’t remember, what’s happened to her and she doesn’t know, where she is. You have to overcome the fears and help her to remember everything and find the way home. Events take place in a house full of mysteries, fears and unexplained things. The game features somber atomosphere and various puzzles. If you get stuck in the game, check out the video walkthrough and gameplay for the game. 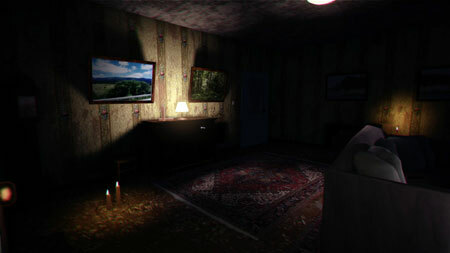 This entry was posted in PC Games, Walkthrough and tagged Unbridled Horror Cheats, Unbridled Horror Game, Unbridled Horror Gameplay, Unbridled Horror Guide, Unbridled Horror Hints, Unbridled Horror Review, Unbridled Horror Solutions, Unbridled Horror Strategy, Unbridled Horror Tips, Unbridled Horror Walkthrough by Marvin. Bookmark the permalink.